In the beginning, John Bytheway worked for BYU Continuing Education, helping people organize youth conferences. When the games were rained out, he asked for a guitar and tried to keep the youth entertained. Eventually, his "comedy routine" of song parodies, impersonations, and one-liners became John's first tape, Bytheway, It's John. Sometimes the rain would last longer than John's act, so he had to keep adding more songs, more humor, and more impersonations. Now his full act has been recorded, and here it is in Bytheway, It's John: The Second Verse, which includes most of what was on the first tape along with second verses to many of those numbers and several additional songs! "I think it stopped raining." "I really don't mind if we get wet." "Can we go back outside?" Warning: The contents of this tape are neither relevant nor useful. 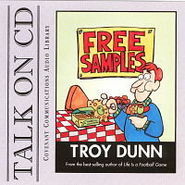 We have loved everything we've heard or watched that John Bytheway has presented, which is why we were excited to purchase this CD. While the comedy is definitely clean and children friendly, most of it was too cheesy for our taste. 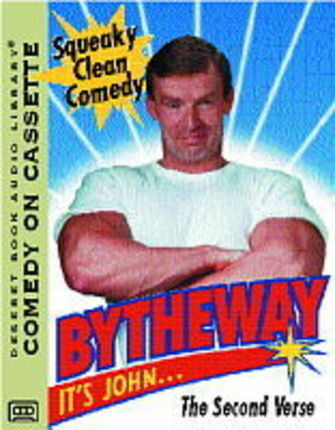 John Bytheway is hilarious! He is so funny! And it's a good funny!!! This was awesome!! I loved every single second of it! I've memorized all the songs and my siblings and I go around singing them constantly.Its nice to here great comedy with out dirty remarks or bad language. It is definitely on the top of my list as one of my favorites! When I first listened to this, I was in the car with my family. We had to keep stopping the tape and rewinding it because we couldn't hear over our own laughter. My parents loved it too. It doesn't teach doctrine, but is some great clean comedy!